To create an International forum for Dancers, Coaches, Dance School owners and Dance Club Trainers where it is possible to discuss and develop dance competition disciplines in an modern and innovative way. To offer our members competitions from 6 main Departments containing 24 Dance Divisions including 46 competition Disciplines in 10 Age groups and 7 Categories ending up to more then 5.000 possible combinations. 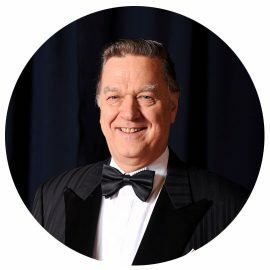 The Acting President is Nils-Håkan Carlzon borned 1941 in Örebro, Sweden. He became a Professional dance teacher 1963 and was teaching at his dance school, Nerikes Dansinstitut in Örebro for more then 45 years. He have been active as a well known dance polititian in the Dancing World during all those years. 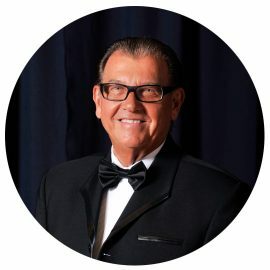 He was a founding member of the Swedish Dance organiztion, a President of the International Dance Organization for 9 years and a Vice President in the World Dance Council for 14 years. Acting as Vice-President, is Irina Shmalko (Moscow). Irina has been a competitor in Caribbean dance within the IDO for many years and has a great knowledge of Artistic Dancing in general. 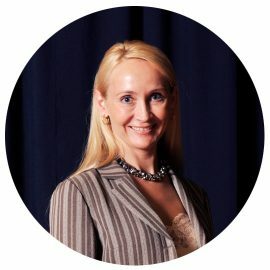 She was appointed by Stanislav Popov, President Russian Dance Union (RDU) to be head of the Artistic Dance Department within the RDU and she is now an experienced organiser of Artistic Dance Competitions. The acting Executive Secretary is Stuart Saunders (Scotland), currently living in Germany. A very well known person in the dancing World. He has a large network of important professionals around the world. He was Company Secretary and Vice-President of the WDC for 7 years being well known for his dedicated work for the Profession. Marian Sulc is living in Turnov, Czech Republic. He started his dancing carrier as a competitor in Disco Dance, Break dance, Rock’n Roll and Mambo. He studied Choreography at the Conservatory in Hradec Kralove and Physical Culture and at the Palacky University and finished as a Trainer and Adjudicator of International Dance disciplines. He was a Vice President of the IDO for 8 years and has a large experience of organising dance competitions and acting as Supervisor and Chairman of judges in Street and Couple dance competitions. He is now teaching fulltime in Taps Ilma dance school in Turnov together with his sister. In the WADF he is also the Chairman of the Technical Committee. A native of Croatia, where her dance career started with Classical Ballet at the age of 5. She enjoyed a successful Juvenile and Junior Rhythmic Gymnast career achieving Croatian Champion. Later Gordana graduated as a programmer and professor of Sport at the University of Novi Sad. In 1993, together with her colleagues from the sport faculty she founded the University Dance Sport Club, from which her dance school “Viva Dance” was created. A few months later, in 1994, Gordana entered the organiser arena by presenting the first Festival of Modern Dance in the Novi Sad National Theatre which was to become a traditional annual event during the following years. 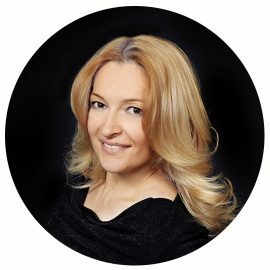 During a 15 year period Gordana was an IDO Licensed Chairman of Judges, Supervisor and Scrutineer and presented IDO International Championships in 2002/5/7/9/10 and 11. On the famous Serbian TV show “Plesom do snova/Dancing to the Dream” (the Serbian version of Dancing with the Stars she was one of the judges for two series. Today Gordana is busy in her dance School “Viva Dance”, which recently celebrated its 20th anniversary, and working with students in the faculty sport. Gordana strongly believes that “Dancing means to Love, and Loving means to live”. Guido de Smet is a well-known person in the dancing World. He has been involved in World Dance politics for many years. He is the current President of BULDO, the Belgium Dance teacher’s organisation and he has been involved in the WDC Social dance Committee as the main examiner for many years. Master degree in Sports and Physical Education at University of Leuven (KUL) Post-Graduate in Training and Coaching with Specialty in Dance Fellow and examiner (BULDO) in Ballroom, Latin-American and Argentine tango Trainer-coach and choreographer of 17 times Belgian Standard Formation Champions. Trainer-coach and choreographer of Triple undefeated World Argentine Tango champions Peter Rombouts – Marga Wouters. Lecturer at different congresses in Belgium, France, Germany, Holland, Austria, Czech Republic, Russia, Ukraine, Greece. WDC Senior Examiner, Examiner BULDO. WDC, WDC AL, IDO, WADF adjudicator. 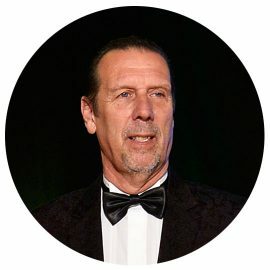 Current President of the Belgian Professional Dance Teachers Organisation (BULDO) and the Amateur Competition Divisions FDSF and Bel-aL (Belgian Amateur League).